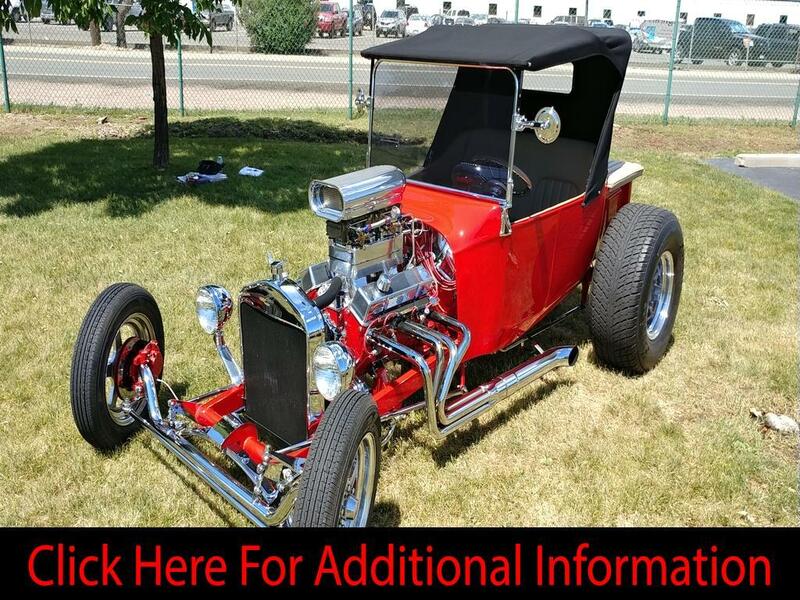 1919 Ford T Bucket Hot Rod-350 Chevy Engine, Turbo 350, 3 speed Auto Transmission, 2 - 4 Barrel 600 Carbs. with a Tunnel Ram, Gear Drive, 2,975 miles on this engine, Custom Leather Seats & Interior, Hoosier Pro Street Rear Tires-31x12.5xR15, Front Tires-Nankang 145R15. New Custom Mercedes Canvas Top, New Larger Windshield & Custom Side Mirrors. Car comes with Cover and has always been Garaged! This is a very well-maintained T Bucket in Excellent Condition. Made from a 1919 Ford Sedan in 2015. Original Owner, Car built in 2015 by Professional Hot Rod Shop, No AC or Heater & No Power Steering-It’s a T Bucket! Great Cruiser and simply a fun car to drive to Car Shows and the local DQ! Message: Thought you might be interested in this 1919 Ford Model T.